Since chiropractic care involves a series of visits, with each one building on the ones before, it’s important that our relationship can go the distance. We’ve found that one of the best ways to have successful patient relationships is to explain everything in advance. No surprises! The more you understand who we are, what we do and why we do it, the better results you’ll enjoy. It’s as simple as that. You will feel right at home at Casses Chiropractic Clinic. 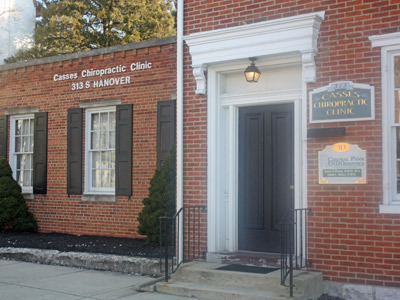 At Casses Chiropractic our goal is to offer state-of-the-art chiropractic care in a comfortable surrounding. Our chiropractic care is gentle yet effective. We want to partner with you to ease your pain and help you achieve the optimum health you deserve. The purpose of your consultation with the doctor is to discuss your symptoms and to see if chiropractic may be the solution for your unwanted health condition. If you are a candidate for chiropractic care, a comprehensive examination will be performed and, if necessary, x-rays will be taken and developed on site. Call our Carlisle chiropractic office today to schedule your first appointment.